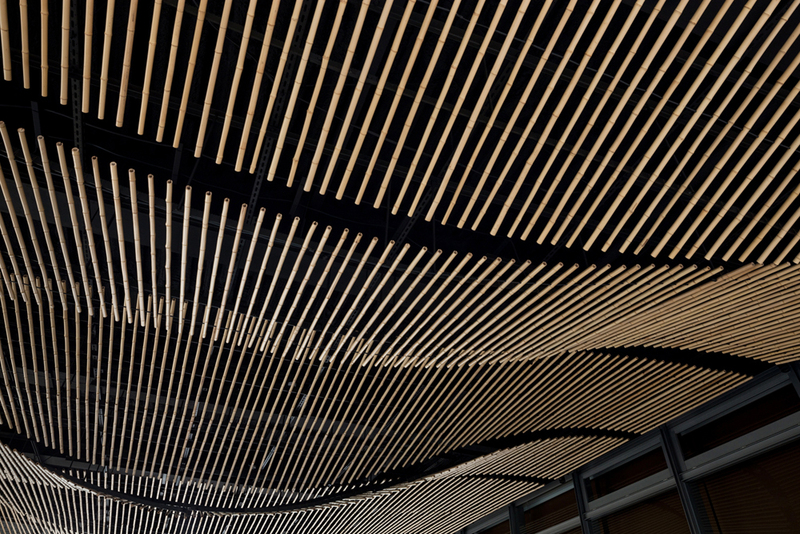 One of the aims of this project was to form a 3D curved surface in a frame of concrete, generated from computer technology. 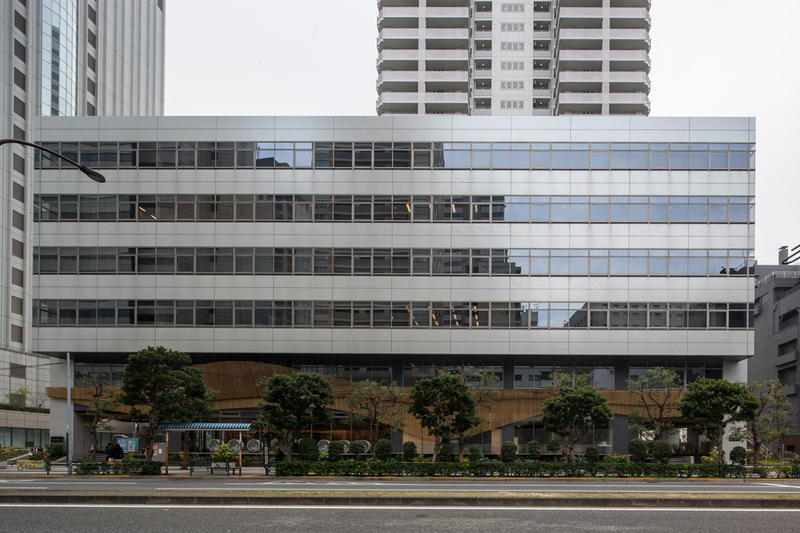 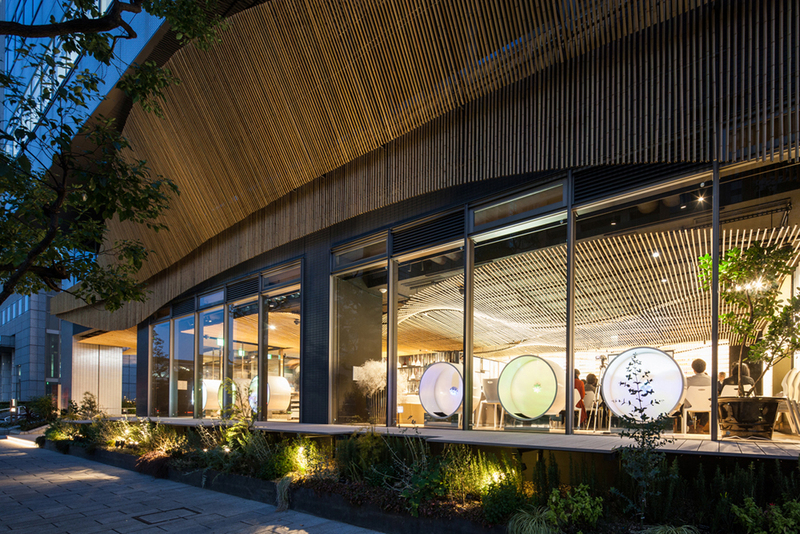 Laser-cut steel panels and thin bamboo were the materials. 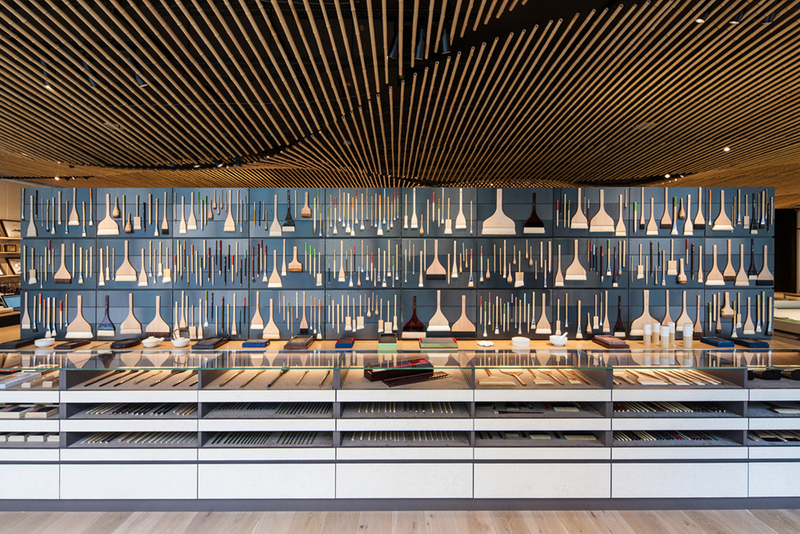 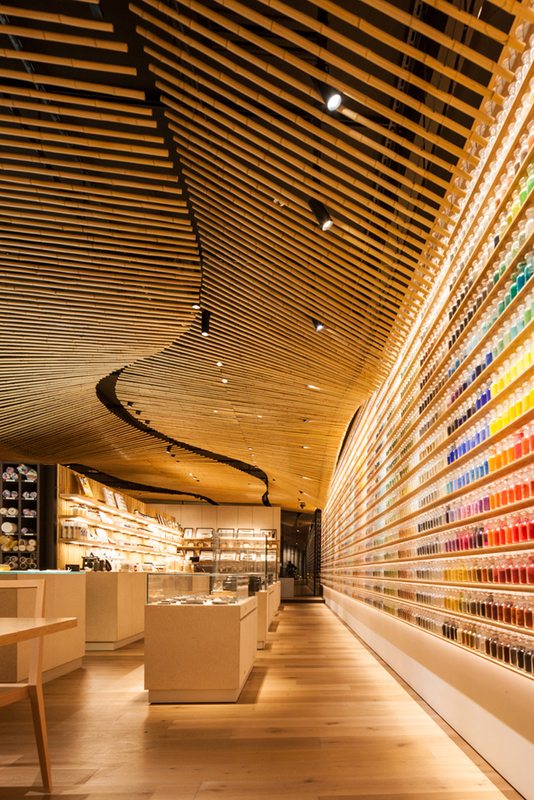 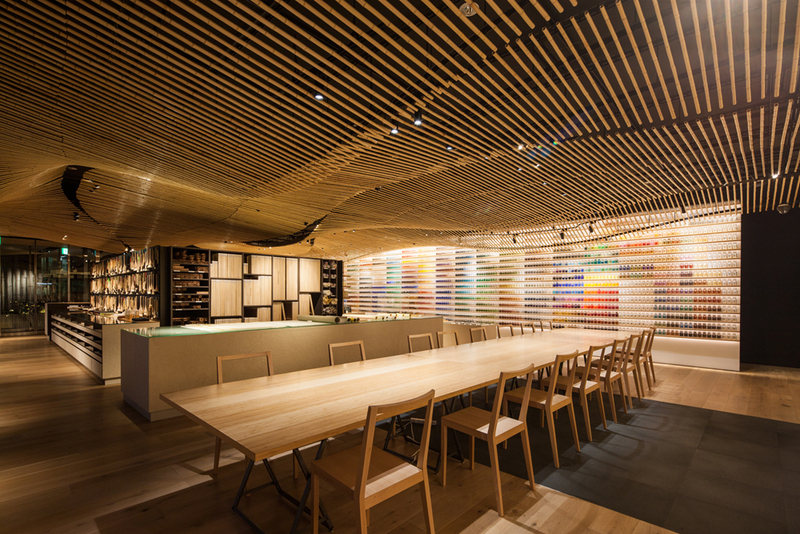 They created a wave of bamboo for the shop, a purpose-built space to show and sell traditional pigment for Japanese painting, along with brushes and old inkstones.